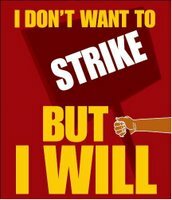 The California Faculty Association, the union of which I am a conscripted member, is threatening to strike. 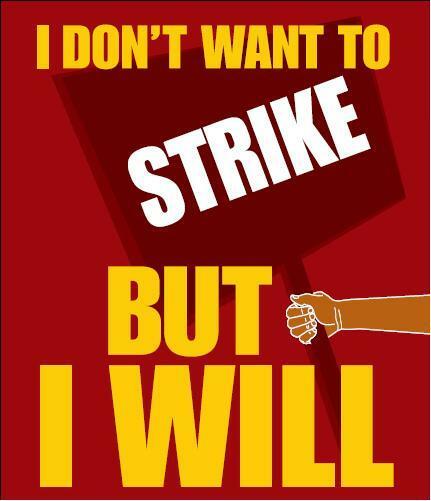 They have produced knob-hanging flyers for supportive faculty members to put on their doors, announcing in large letters that "I DON'T WANT TO STRIKE -- BUT I WILL." Today one of my colleagues noticed that only two doors in the Econ Department hallway had flyers hanging on their knobs. Interestingly, nobody works in either of those offices.